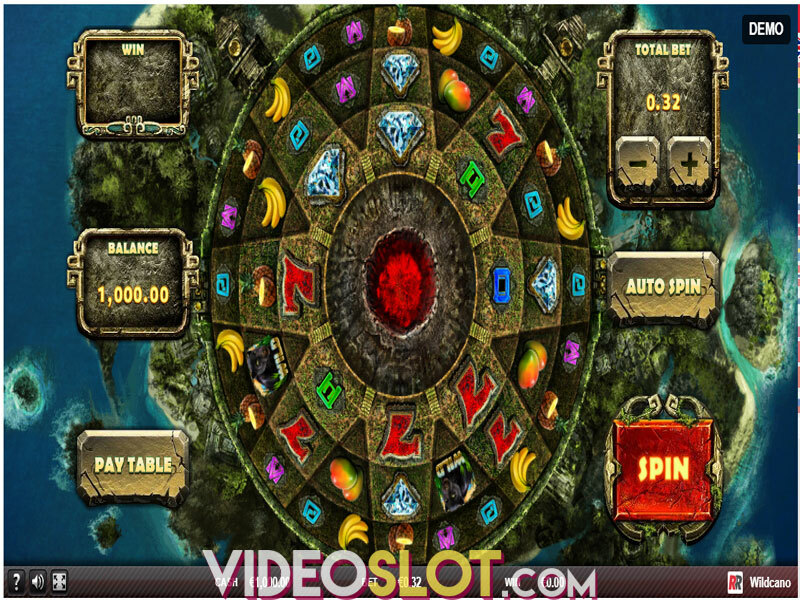 In July 2018, a Malta-based software provider Red Rake Gaming added another video slot titled Mystic Mirrors to their catalogue of high-quality games. With remarkable graphics, smooth animations and a serene musical score, this game takes us to an enchanted world of magical creatures and landscapes of astounding beauty. Take advantage of Wild Substitutions, retriggerable Free Spins and an Extra Reel which increases chances of massive wins. Mystic Mirror is a 5-reel, 3-row slot where you can choose to activate the 6th, additional reel that doubles the total bet but also boosts chances of landing prizes up to 70x your wager. No matter on how many reels you decide to wager, the game remains configured to 10 fixed paylines with bets ranging from as little as $0.08 and up to $15.00. Activating the extra reel will double bets to reach values from $0.16 to $30.00. Symbols pay when landing on adjacent reels on a winline from left to right. You can start the reels going either by pressing the Spin button or by initiating Autospin, so that the game continues automatically. The amazingly beautiful enchantress is the game’s most lucrative icon delivering 500x the bet when 5 land on a winline. The unicorn pays 200x your wager for 5 of a kind. Magical items award 75x the total bet for 5 matching symbols. Low-value icons are depicted with playing-card symbols 10 through Ace granting prizes from as low as 10x up to 15x the bet for 5 on a payline. If you have activated the 6th reel, this will significantly boost prizes when 6 identical icons appear on a winline. Wild, which also stands for Scatter is depicted with a shiny Mirror, replacing all other symbols when forming win combinations. Wherever it appears on the grid, it will award a prize of 200x the wager. In addition to awarding prizes, 3 to 6 Scatter Mirror symbols will trigger the Free Spins Bonus Round with 10 initial free spins. Before the Bonus Game starts, a Special symbol is randomly selected to expand and cover the entire reel each time it lands. A great advantage of this feature is that if 3 more Scatters hit the reels, you will receive 10 additional free spins and a new Special symbol will be awarded and added to those you have already won. 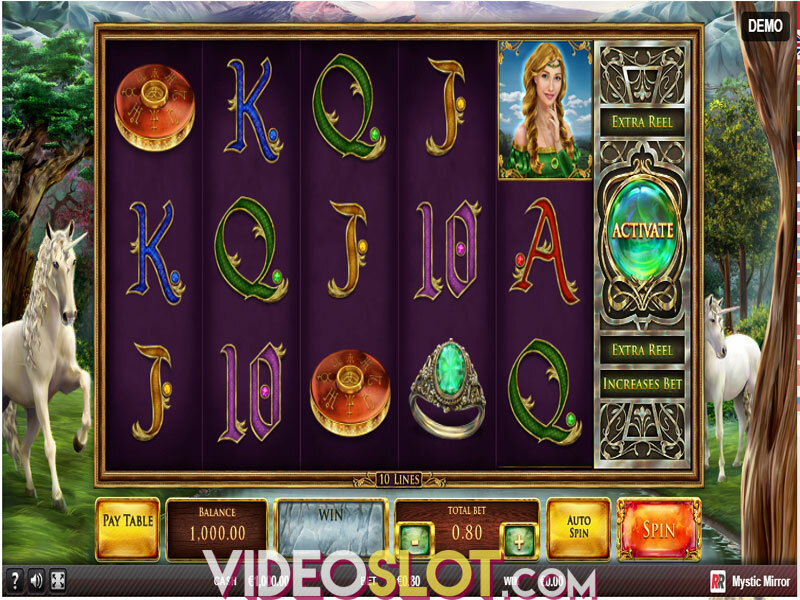 Mystic Mirror is a relaxing video slot which delivers solid payouts mostly during the main game, due to a 95.2% theoretical Return to Player. However, truly significant prizes are hidden within the Free Spins feature which is not easily triggered. If you wish to try this game and give its reels a spin, it is available for play on mobile, tablet and desktop devices. Where to Play Mystic Mirror?